External view of ███ Factory. Due to RPC-743 being currently immovable, it is required to be contained at its original location. As such, OL-Site-743 has been constructed around RPC-743. A perimeter electric fence no less than 3m high is to be kept around RPC-743. Around the clock surveillance of RPC-743 and the structure surrounding it is to be maintained. If any changes in usual activity are detected within RPC-743, they are to be reported directly to Site Administrator Zhao. Should a civilian attempt to cross the boundaries, they are to be redirected away from RPC-743 under the guise of a chemical leak. In the event that someone does bypass security, they are to be immediately eliminated by ASF personnel. Exploration into the depths of RPC-743 is strictly forbidden without authorization by the Site Administrator. See Addendum 743.1. Despite the procedures that have been enacted to to contain RPC-743, civilians and various animals have still been disappearing around Site-41. Revision of containment protocols is currently being considered. Newly observed hostile RPC-743-1 instances require additional resources to contain. Requests for supplies and reinforcements are currently pending. As of 13/05/20██, handling of RPC-743 has been relinquished to the People's Republic of China due to their recent requests for ownership of the anomaly. For the time being, this request has been granted out of debt to the PRC. For insurance, covert ops team Romeo-12 has been established at OL-Site-743 to keep continuous surveillance over the anomaly for the sake of the Authority. RPC-743 is a mass of pipes, wires, chains, hooks and other miscellaneous apparatus located within the center of a metal-works factory in ████████, China. In its dormant state, these pipes and wires are completely stationary. RPC-743 designates, at current estimate, nearly 50 kilometers of a variety of metal objects. These pipes extend throughout the majority of the structure surrounding it.1 Most of its mass consists of pipes, these range in diameter from 3 cm to over 1 m. Tools meant for medical and surgical use have been detected within RPC-743, such as syringes, bone saws, scalpels, and various machines resembling vein strippers. Many of these tools are heavily rusted, and appear stained with a liquid containing blood from diverse species of bovine, avian, feline, and human. RPC-743 becomes active when a source of biomass comes into close proximity to any of its outstretched pipes. When active, RPC-743 will seek out any living tissue and attempt to make contact with it through locomotion similar to that of a snake. Once this is achieved, the subject (animal or human) will become restrained by various pipes and wires, and will undergo the process of assimilation into RPC-743. The assimilation process consists of the aforementioned pipes binding the subject to a nearby wall. From there, various wires, small pipes, and other apparatus are thrust into every available orifice and into its internals. These pipes and wires will attempt to 'connect' within the subject. After completely razing the insides of the subject, they essentially become a working part of RPC-743. Currently, the method of keeping the subjects alive is unknown due to a lack of thorough research. This process cannot be stopped. Any attempt to do so will inevitably end in the subject undergoing the process to expire. After the cessation of the process, the subject will have become an integral part of RPC-743. Any subject that becomes assimilated loses all higher brain function and ability to move. RPC-743 has the potential to create crude humanoid constructs that have shown to be extremely hostile to any nearby human subject, hereby designated as instances of RPC-743-1. These instances are mainly made from human flesh as well as various pipes and metal wiring. Some instances will have been made from several different species of bovine and/or feline2. Much like RPC-743, these instances remain dormant but will often aimlessly roam the area they are currently in. These instances will only become active when encountering a human subject. Should this circumstance be met, the instance will immediately attack the subject. If the subject is killed by the instance, they will often attempt to take a portion of their mass to increase their own. Most instances are completely mute, but some possess the ability to vocalize. This process is achieved through a speaker that has been installed directly into their lungs and throats. Below are some of these statements. For the sake of formatting, they have been translated from Mandarin into English. To create a better future, for █████, and all. "Do not grow, but instead, unite." "The machine watches. The machine cares." "You are the cogs and the gears that operate in a machine much bigger than yourselves." "For the betterment of humanity." "We are the bridge to solidarity." "The flesh of one man is weak, but together, we are strong." "Follow the words of Lorelei, and find your calling within the machine." Discovery: RPC-743 was discovered when there were multiple reports of disappearances in ████████, China. Prior to the decommissioning of the factory, it was designated as a metal works production facility. Its primary function was the assembly of metal sculptures. Due to complications within the factory (see Addendum 743.2), it was promptly shut down and abandoned. 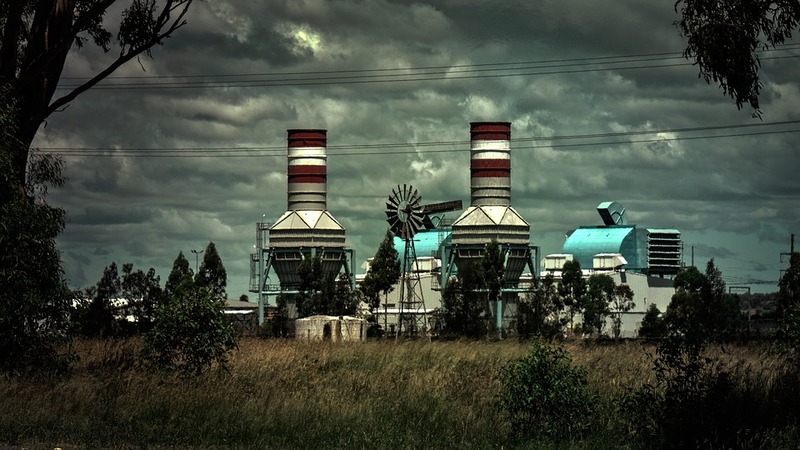 This particular string of disappearances happened near a long decommissioned factory. Authority agents embedded within the local Chinese police force reported signs of anomalous activity when they attempted to investigate the disappearances. It wasn't until ██/██/██ that it was discovered that the factory was harboring a dangerous anomalous object and the Authority was contacted by the aforementioned agents to intervene. 1. Prior to its rapid configuration, the factory containing RPC-743 has been drastically modified from its original layout due to the influence of RPC-743. 2. This has been hypothesized to have occurred because of lack of access to any human subjects.